That’s another of those concerning questions I see in forums all the time. What’s even more concerning are the answers. Of course, I’m reading dog lover forums, so you never see anything about corporal punishment and puppies or dogs, but I do often see “time outs” and other forms of punishment. Unfortunately, while the owners may be trying to do a good thing by “teaching” their dogs not to engage in certain behavior, they’re really doing nothing but making life miserable for their pup. The answer to “how do you punish your puppy” is that you don’t. Read on to learn why, and find out what you should do instead. Most dog owners view their dogs as four-legged children, and they are to a certain degree. They love us unconditionally, they’re eager to please us (usually), they want to be around us, and we’re responsible for their well-being. With all of these factors, it’s no wonder that we owners attach human characteristics to our dogs. The important thing to remember, however, is that dogs are not people. They don’t think as we do. They don’t react as we do. Most importantly, dogs do not have the mental capacity to understand a punishment, whether it be a timeout in the corner or a swat on the nose. To begin with, dogs do not understand punishment. They are reactionary creatures. Their minds function in a totally different way than a human’s. While humans have the ability to stop and contemplate the consequences of their actions, dogs operate on an instinctual “in the moment” level. They do what they do because they have an inner drive to do it. Along with that same line of thinking, dogs are not good or bad. Good or bad behavior implies an underlying motivation of some sort. Dogs have no motivation other than their instinct. They’re not out to hurt anyone or to enact nefarious plans (even if they do steal toys from the other dogs). When you couple their lack understanding of good or bad along with their inability to be forward thinking, it becomes quickly apparent that punishment won’t work. Punishment is a reactionary form of training (and terrible one) which operates on the idea that dogs can understand the idea of motive as well as have the right kind of brain function to associate the punishment with the action. 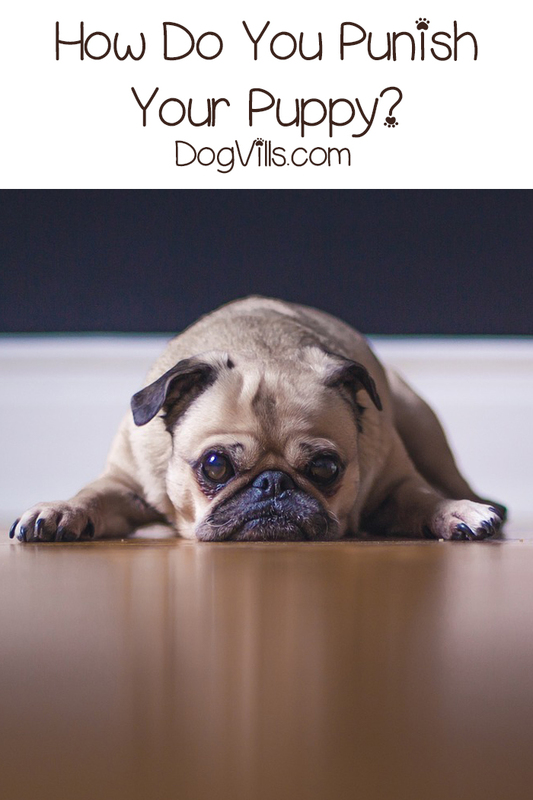 Because we’ve established that these two things are impossible, the question shifts from “how do you punish your puppy?” to “how do achieve desired behavior?”. Dogs are spur of the moment creatures, but they do respond well to repeated stimuli. Simply put, good training is based on repeating the same desired actions over and over again with an awesome reward until your dog recognizes the value of doing it. You can’t punish a dog, but you can teach him to do certain things that he’ll be rewarded for. The commands you teach him now are your proactive approach to avoiding what we humans call bad behavior later. What types of dog training work best? Alpha training relies on the concept that dogs are pack animals and will follow their alpha’s commands. In this case, you are the alpha. Up until recently, it was the most popular form of dog training. However, recent studies show that the alpha theory may not apply to domesticated dogs, after all. While it definitely has a history of working (Cesar uses it, and he’s had great success with difficult dogs), you might want to try a different approach with your dog. Positive reinforcement training is exactly what it sounds like: your dog performs a desired action and gets a reward. It’s the form of training most recommended by the American Humane Society. Just keep in mind that the reward must come right away. Like, as in seconds after the desired behavior happens. If you’re using this for potty training, that means you need to be right on top of your dog when he’s doing his business! Clicker training is a form of operant conditioning that uses delayed gratification. Basically, your dog performs a desired task, you click the clicker, then you reward them. Just about everyone knows about Pavlov’s dog study. The TL;DR of it goes like this: Pavlov used a bell to teach the dogs that food was coming. Eventually, whenever they heard the bell, they started salivating. Learn more about clicker training here. Of course, there are other forms of dog training, but these tend to be among the most popular. Now, let’s recap on the whole “punishing your dog” issue, shall we? There is never a time with punishing your dog should be on the table. If an owner has a dog that inspires them to scour the internet for “how do you punish your puppy” then the fault is with the owner, not the dog. I say that from experience. When you understand the instinctive, reactionary nature of a dog’s mind, the idea of training really cements itself as one of the most important parts of dog ownership. After all, a well-trained dog is a well-behaved dog. Have you ever had someone ask you “how do you punish a puppy?” How did you react? What tips would you offer them instead? Share your thoughts and experiences below!